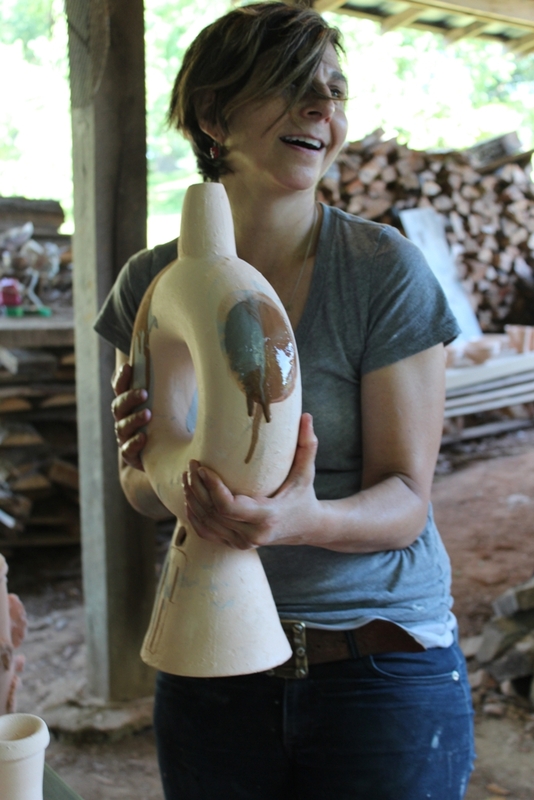 Michelle Erickson is internationally recognized for her mastery of colonial-era ceramic techniques used in her creation of 21st century social political and environmental narratives. Her works are distinguished by insightful commentary on the universal character of the human spirit. Erickson’s highly sought creations have reinvigorated distinguished decorative arts collections by connecting past and present. Her pieces have been the first contemporary ceramic art acquired by the Colonial Williamsburg Foundation, NY-Historical Society, the Chipstone Foundation and more. Her pieces are in the collections of major museums in America and Britain that include the Museum of Art and Design, the Seattle Art Museum, the Potteries Museums Stoke on Trent, and the Victoria and Albert Museum. Michelle was Artist in Residence at the V&A in the category of World Class Maker in 2012. 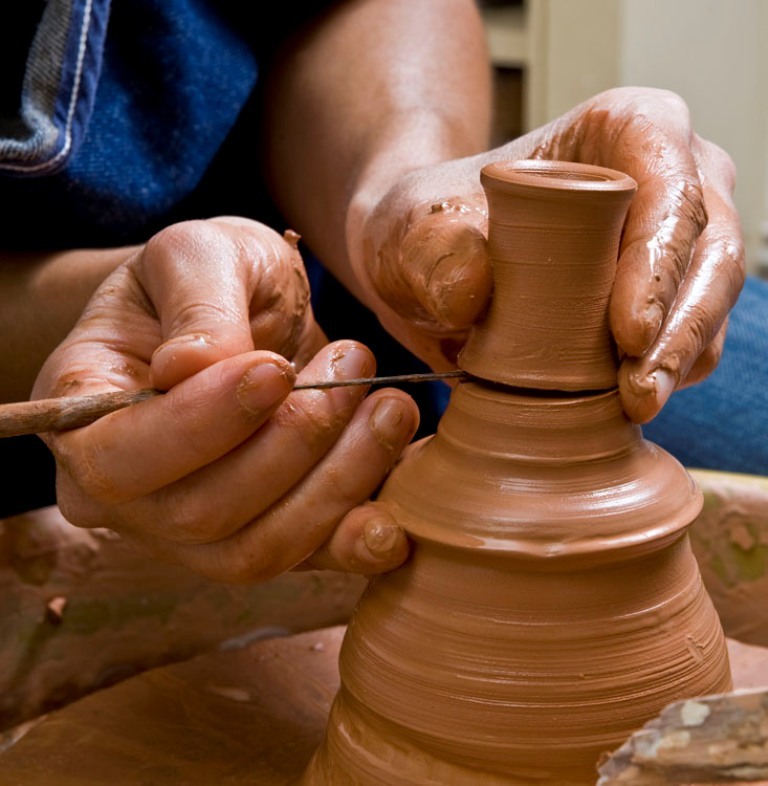 During her tenure, she created three films on her work in the rediscovery of British ceramic techniques in collaboration with the V&A and the Chipstone Foundation Milwaukee, Wisconsin. 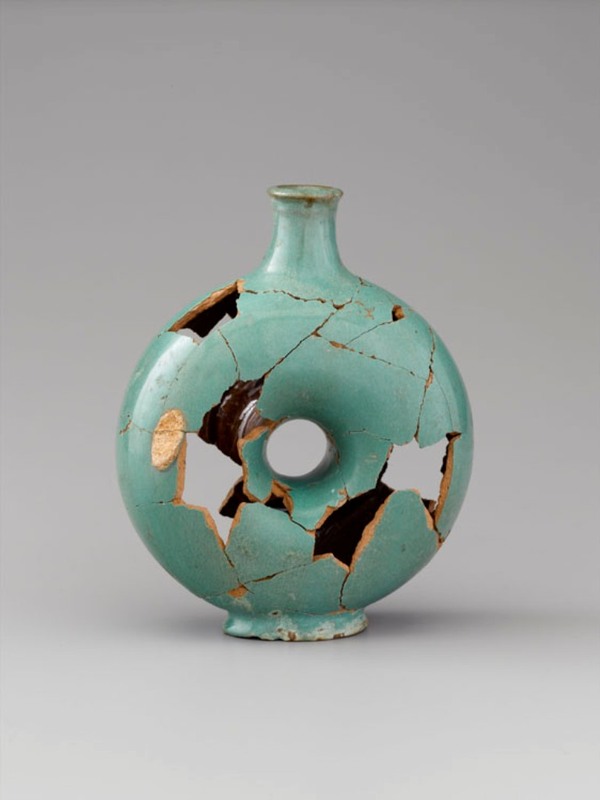 My career-long fascination with ceramic history during the period of Western exploration, expansion, and dominion began with exposure to archeological ceramics in the “colonial triangle” of Virginia. Fragments of British, European, Asian, and Native American pottery unearthed in early colonial excavations embody a remarkable global convergence of cultures in clay. My practice in the rediscovery of lost ceramic techniques and the context of this history define my approach as a contemporary artist. 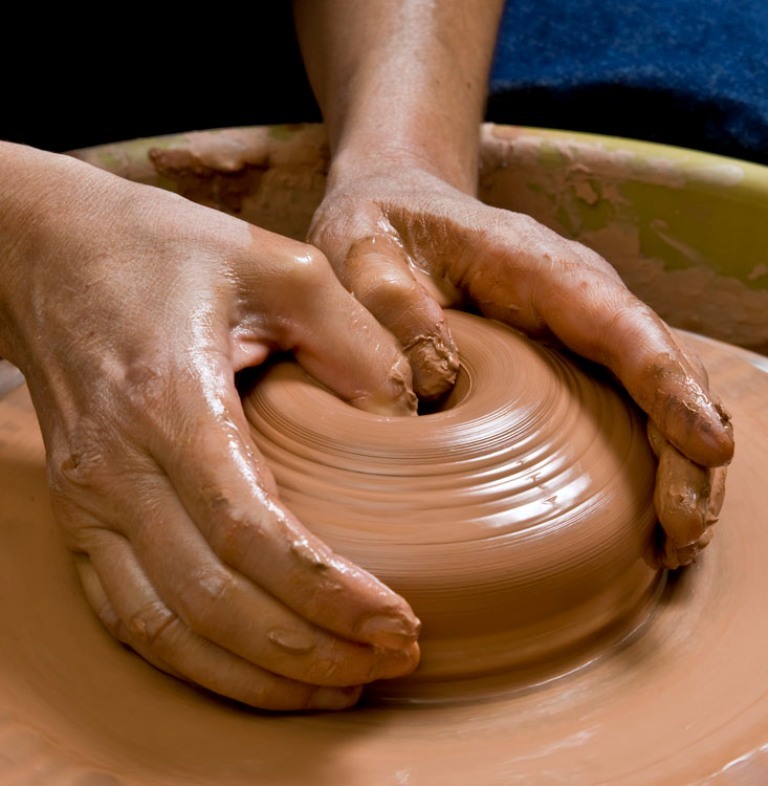 I use the depth of history through the art of making to draw parallels through time such as the 18th century Staffordshire pottery industry and global design giant Nike, Wedgwood’s abolitionist ceramics and 21st child slavery, the colonial discovery and obsession with fossils as prescient to our perilous addiction to fossil fuels. I make objects of the past from an imagined future in the present. Learn more about Michelle and her work via her website. 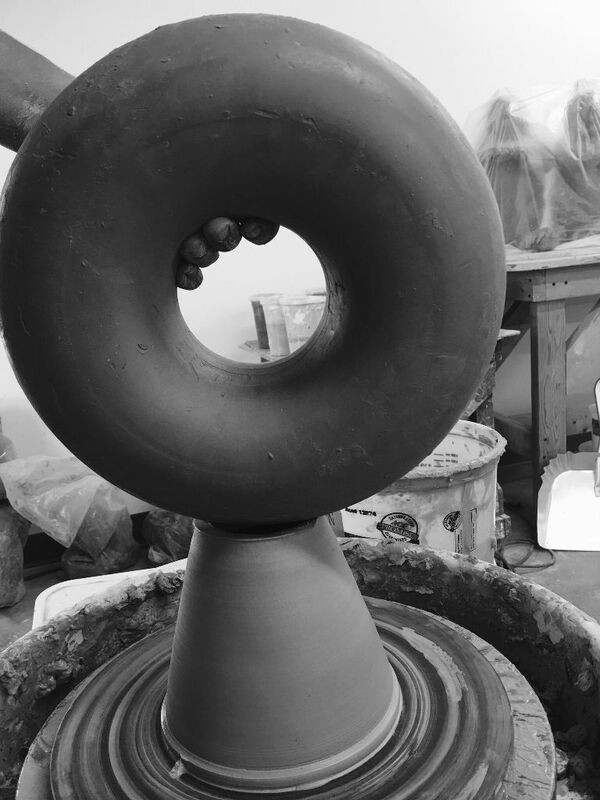 While artist in residence at STARworks in summer of 2016 she produced a body of work that was fired in the salt glaze stoneware kiln at the North Carolina Pottery Center. Taking advantage of the resource of STARworks indigenous materials, she focused on ‘Catawba Valley’ clay straight out of the ground to experiment with jug forms. 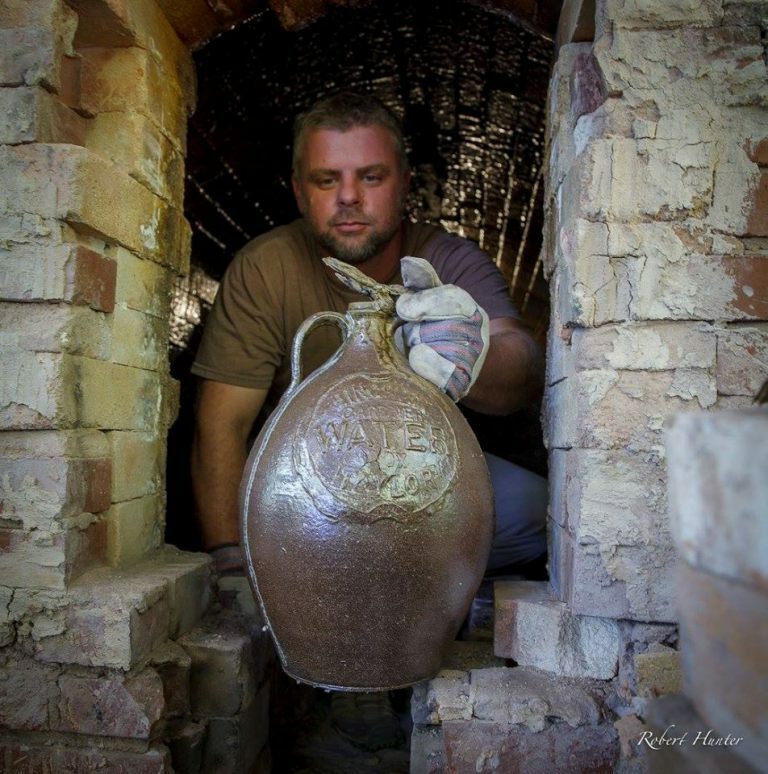 The opportunity to produce and wood fire salt glaze stoneware in a traditional NC groundhog kiln was made possible through the help and expertise of generational NC potter Chad Brown and woodfire artist David Steumpfle. The chance to explore the impervious material of salt-glazed stoneware inspired many of the works included here. Struggles between environmental protection and the geopolitics of energy raise issues of native lands, indigenous peoples, and social injustice. The devastating water contamination in Flint Michigan brought national attention to the disproportionate hidden threats that lower income and predominantly black populations in the US face every day. While the industrial use of native lands threatens not only sacred cultural practices but a very way of life. The jug series incorporates life cast shells, octopi, crayfish and lobster claws and casts of water and gas mains made from clay impressions taken off the streets in Richmond, Virginia. 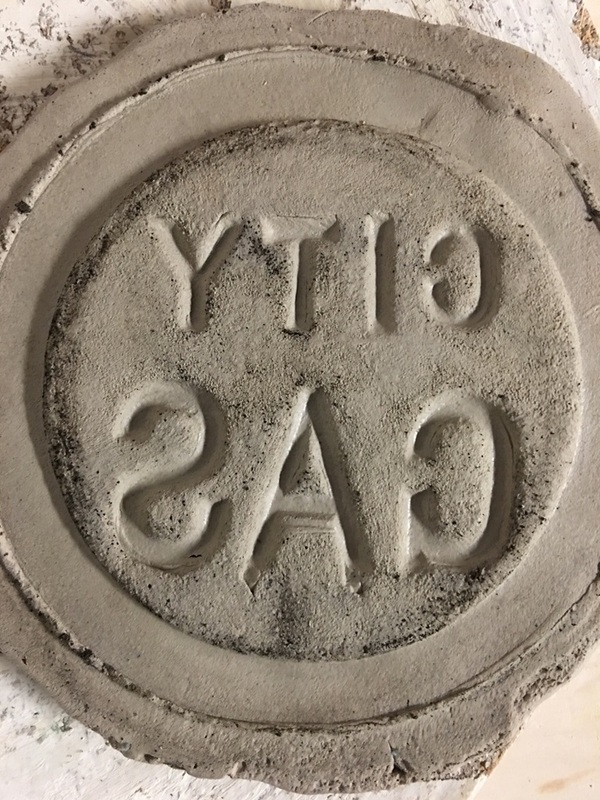 The Catawba Valley clay and salt glaze wood firing mimic industrial salt glaze water and sewer pipe. 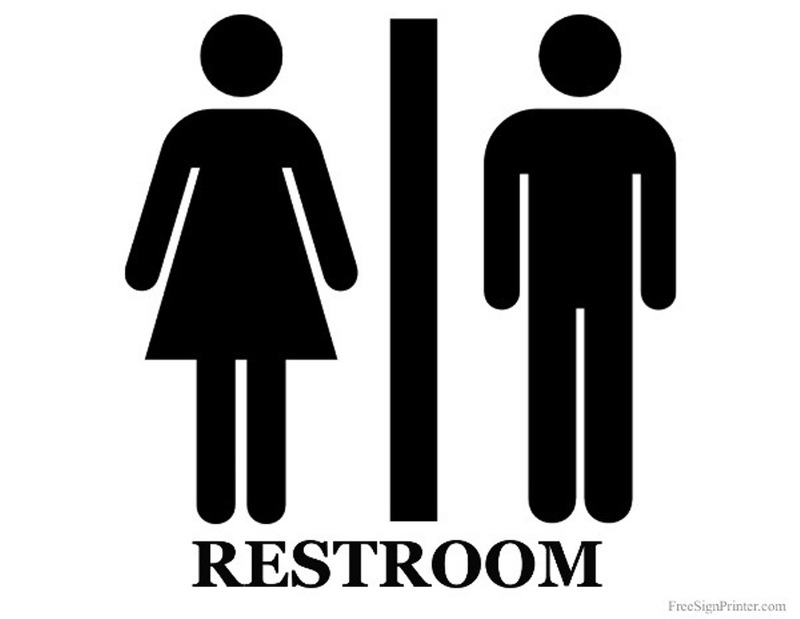 Other works from this firing were influenced by the heightened political environment during her residency specifically the unjust NC law known as HB2 requiring transgender citizens to use public restrooms that correspond to their birth gender. The ring bottle incense burner and figural squirrels are statements on gender identity and equality as a human rights issue.